Looking through the Meyersche bookstore downtown, I found a bunch of English-language books on sale for 5 Euros each. They were all cheesy romance books, each put out by a British company known as Little Black Dress. Normally, I would never read romance novels, instead opting for fantasy and sci-fi. That said, the books got my attention. It's not usually my thing, I thought, but they're cheap enough to just leave on the train after I'm done. Browsing the stacks, I could see the covers were well-designed, and each book was slim and sassy. Soon I found myself unable to pick only two books, instead buying three. The next day, I was on the train to Belgium. The first book I read was Girl from Mars, and it was by far my favorite. In this novel, a super-geek comic artist has made a pact with her male friends to disavow love. Even so, because she's always been seen as one of the guys, she can't divorce her interests from her need for companionship. Being a super-geek myself, this book was a treat. There was a playfulness to the writing that I appreciated, and it had the feel of being a romance novel for people who don't like romance novels. It had the tropes, but things were so light and fun that it didn't matter. I read this book unashamed on the train. I was sucked in completely by the story, and I arrived at my destination before I could finish. This led to reading the book on crowded buses, in my hostel, and finally on a second bus into England. I told myself that I'd leave any book I finished on the seat as I left. 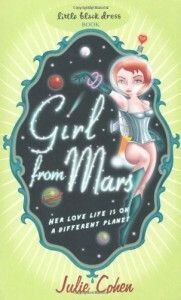 I felt a little bad, though: Girl from Mars is a genuinely enjoyable book, and I wanted to take it along as a souvenir. I left it, though. Hopefully the person who found it knew English. A year later, Girl from Mars became available on Kindle. I ordered it immediately, and it was like returning to an old friend. I could still hear the Belgian chatter and smell the leather bus seats. I could feel the rocking of the train. 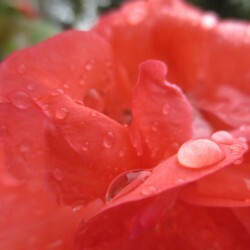 The memories that cling to the book are as lovely as the book itself.